Bel Power Solutions and Protection and premier global manufacturer of power management devices, announces the ABH50 Series, a 50W open frame power supply designed for cost-sensitive industrial applications. The device features a highly efficient quasi-resonant flyback converter and meets DOE requirements for standby power and Class B EMI with Margin. 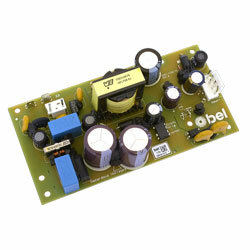 This open frame PSU features an input voltage range of 85-264VAC. The main output is 12VDC and ideal for powering medical, datacom, telecom, industrial equipment and other applications, including battery charging, driving LED strings and starting small electric motors.